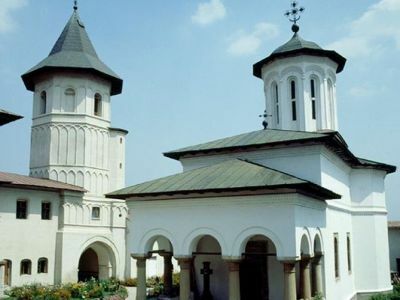 The Brancoveni Monastery was built before the 15th century by unknown founders. It was remade in 1494th by the Craiovesti boyars. The oldest document certifying this holy establishment is a deed of donation drawn up in 1583 by Lady Calea, the great grandmother of the ruler Matei Basarab. Nicolae Iorga, the greatest historian of our country, reminded in his works of a paper from 1508, which is lost now. 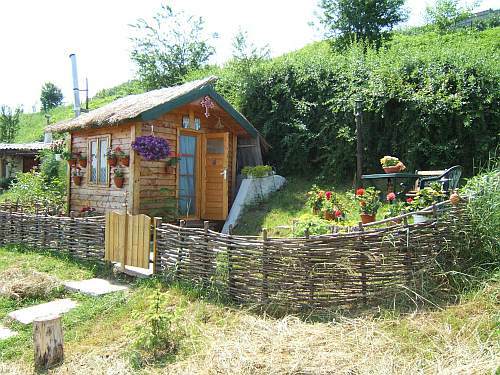 In 1570 Lady Calea, built an wooden church on the spot of the present chapel. 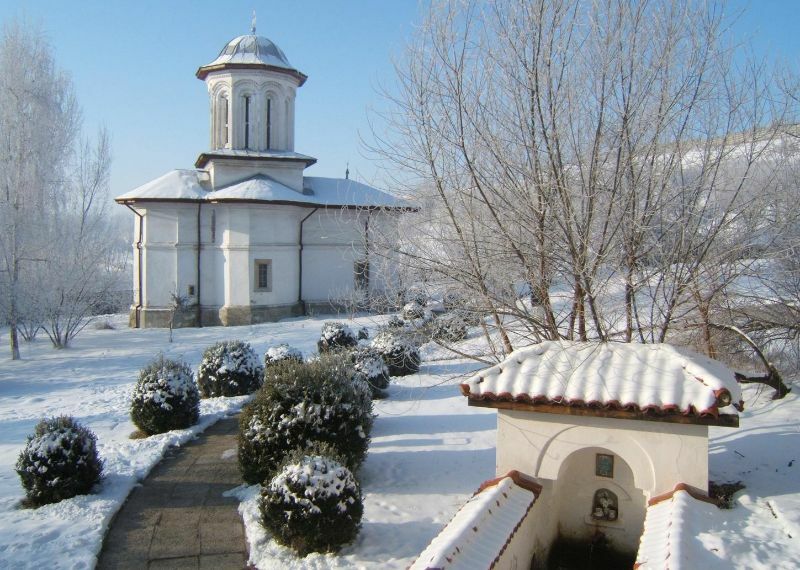 After the ruler Matei Basarab had recovered using the water from the Healing Spring (which it is still running), he built the bell tower (a defensive tower), the royal cellars and houses and the defensive walls in front of the great church. He remade the monastery between 1634-1640. 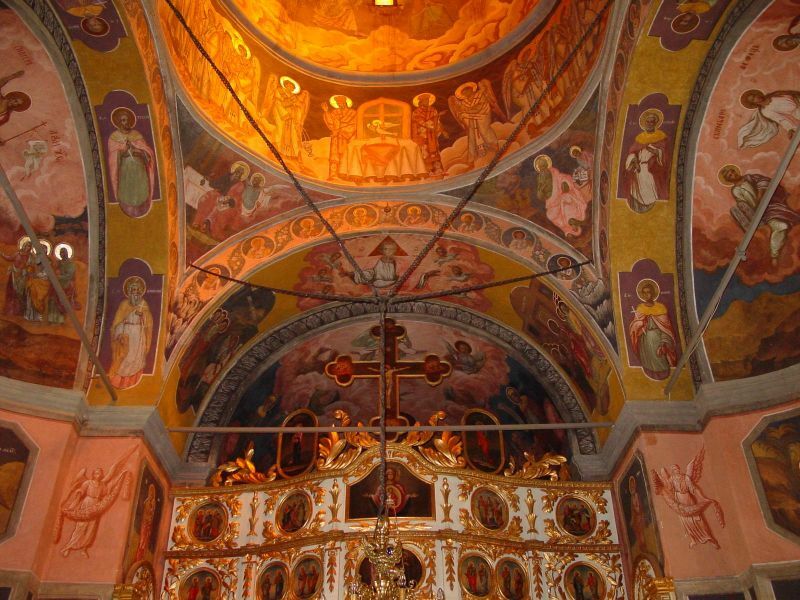 He also repainted the churches built by his predecessors, the Craiovesti Boyards. Since that time till now the Healing Spring has been cured many people who prayed with faith to the Mother of God, the Theotokos. 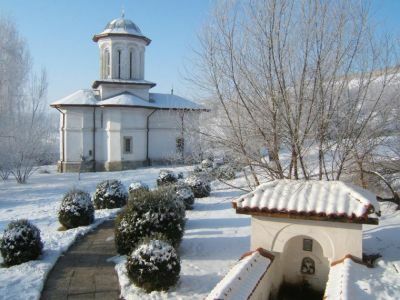 The ruler Constantin Brancoveanu rebuilt the great church in 1699 and the chapel in 1700 on the spot of the ancient churches (which he had demolished). The feast day of the great church has been the Dormition of Theotokos. The doors are from oak wood and the doorframe is from marble and it has vegetal adornments. They were carved in Brancovenian style by an Italian master, Giorgio Levino Pessena. 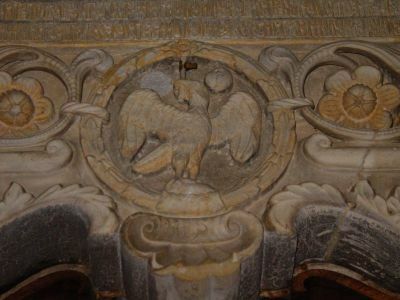 In the pronaos of the great church are buried Stanca Brancoveanu, Constantin’s Brancoveanu mother, his father Papa who was killed in a revolt, his grandfather Preda, who was killed too, in 1658 at Targoviste, and his brothers. 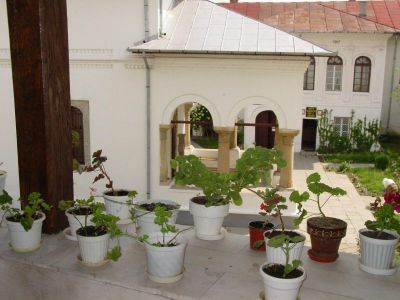 In the porch are buried the abbot Teodosie Trapesintios, the priest Gheorghe and the priest Radu Sapca, who participated at the 1848 revolution. He was the last abbot of the Brancoveni Monastery. He died in 1876 when he was 86. The church was renovated and repainted in 1842 by the abbot Teodosie, after the earthquake from 1837, which demolished the tower of the pronaos and a part of the upper floor of the bell Tower. 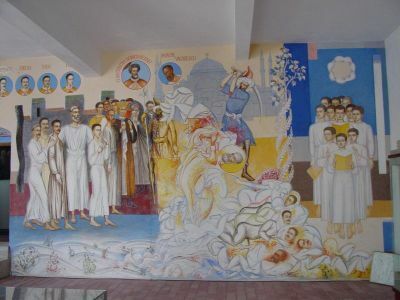 The painting was remade by Nicolae Polcovnicu, Matei Catulescu, Vasile Mateescu. This earthquake damaged the royal rooms and the cells. School, directed by Constantinos, a Greek artist. 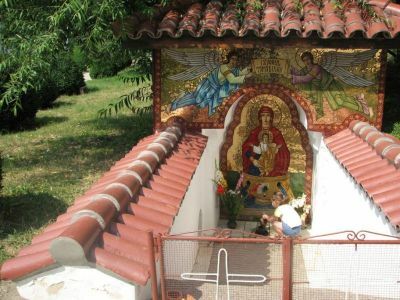 The original iconostasis of the small church has not been preserved. The royal rooms were made during 1634-1640 by the voivode Matei Basarab. 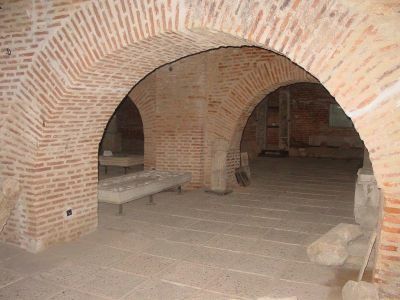 Today they shelter the Monastery’s Museum. 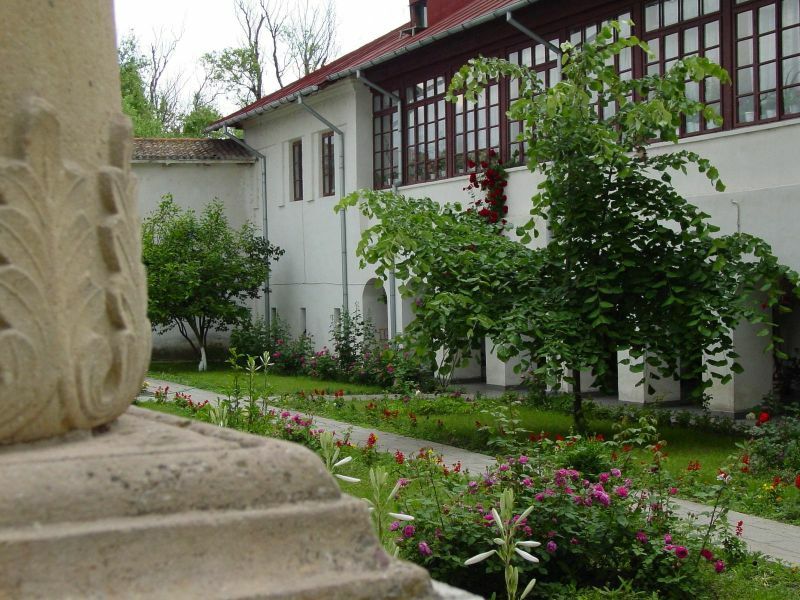 After Constantin Brancoveanu with his 4 sons were beheaded at Constantinopol for not converting to Muslim religion, the monastery was occupied by Austrian troops and later by Ottoman troops and the monks were driven away. 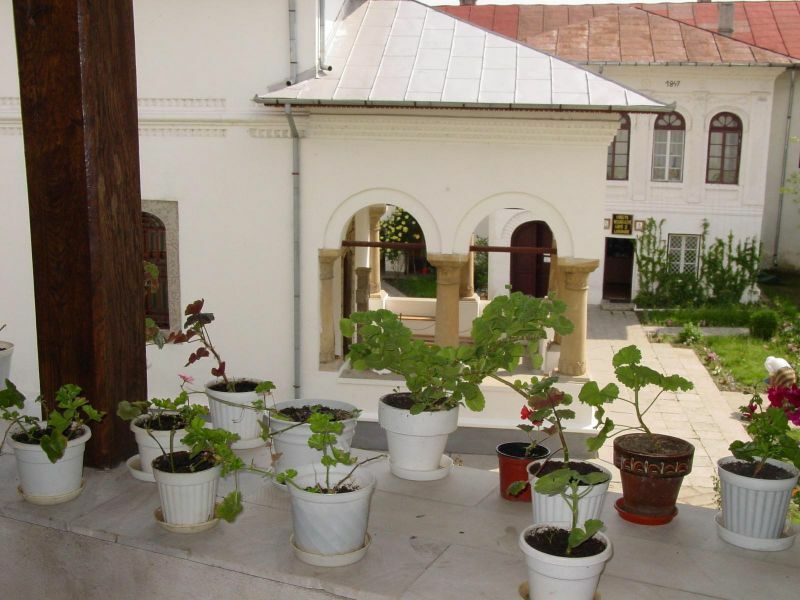 Lady Marica, the widow of Saint Constantin Brancoveanu, obtained from the Austrian Emperor the liberation of the monastery, which had been turned into Austrian barrack for 6 years. After the secularization from 1864 of the monastic estates this community remained without livelihoods and since 1880 there were no monks, but in church the Divine Liturgy was officiated by priests every Sunday and feast day. 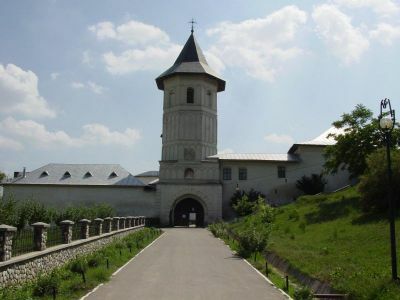 A psychiatric asylum was organized in the monastery’s cells. 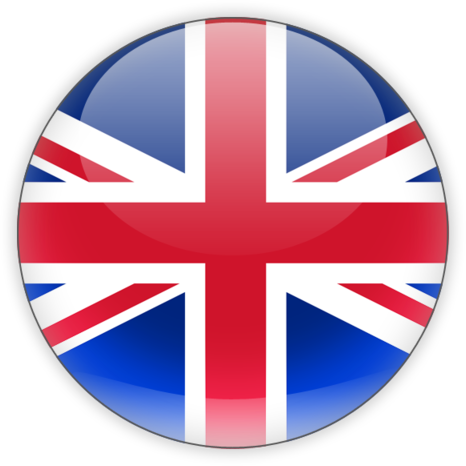 The monastic life was resumed in 1952. The priest of the new nunnery brought the icon of the Mother of God which is a copy of the wonderworking icon from Dalhauti Monastery (in Vrancea County) , a copy of Luca’s Evanghelist icon too. As a result of 410th decree of 1959, that forced all the monks and nuns younger than 50 years to return in the civil life, the nuns were driven away by the communist ruling and again an asylum dwelled in the monastery. 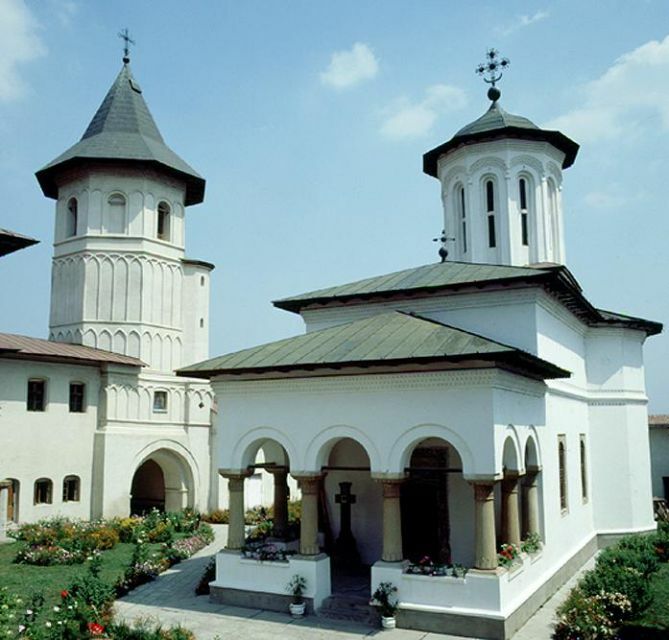 The Brancoveni Convent was reestablished in 1985. The cells were renewed and the picture of the great church was restored between 1993 -1998. 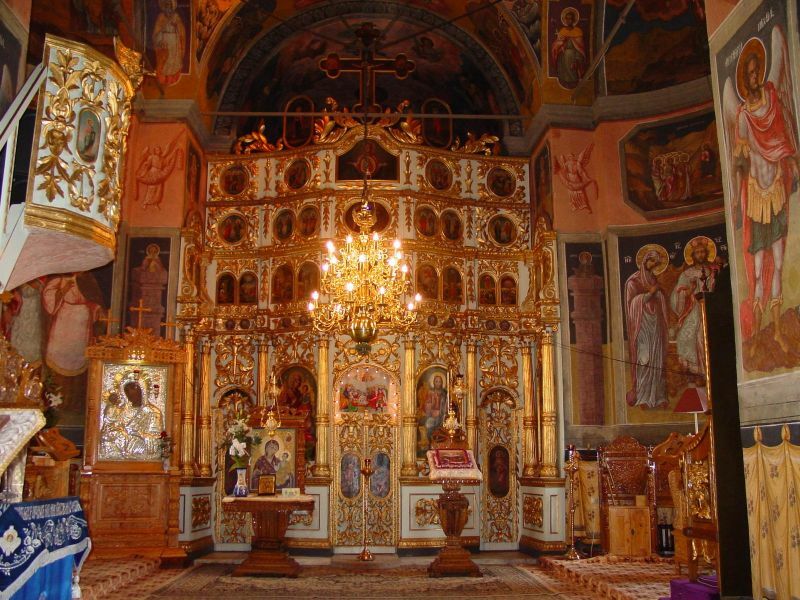 In the church are parts of the holy relics of: St. Apostle Andrew, St. Hierarch Nicholas, St. Hierarch Haralampos, St. Hierarh Spiridon, St. Hierarh Nectarie from Eghina, St. Martyr Panteleimon, St. Andronic, St. Iona from Kiev, St. Martyr Mina, St. John Jacob from Hozeva, St. Seraphim from Sarov, St. Paisie from Neamţu Monastery, St. John Hrisostom, the 14.000th infants who were killed by Herod, St. Martyr Kiriaki, St. Teophil the lunatic for Christ, St. Anthony from Iezeru, St. Martyrs from St. Sava and St. Teodosie Monasteries. The Divine Liturgy is served in the Brancoveni Monastery almost every day. The silver bound Icon of Theotokos from the great church is wonderworking. It is a copy of the wonderworking Icon of Dalhauti Monastery. The latter is a copy of another icon too, which was painted by the Apostle and Evangelist Luca himself. 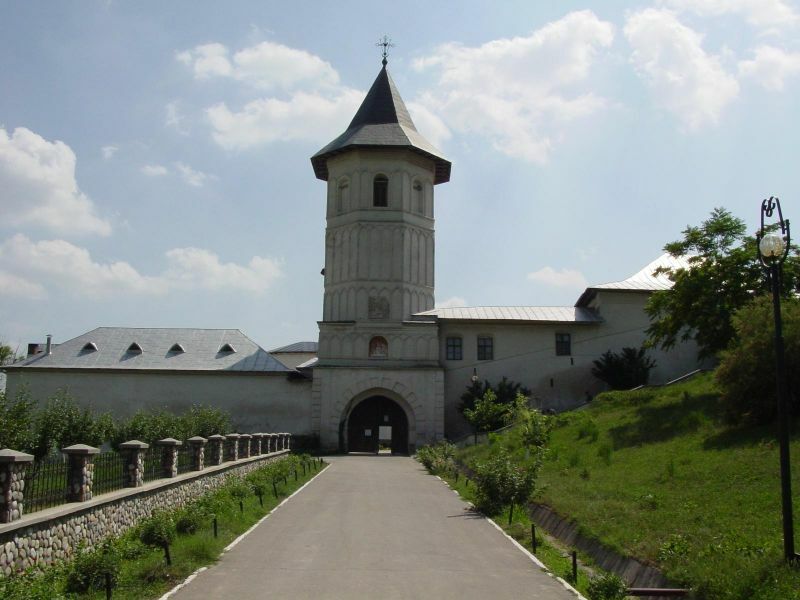 The icon of Dalhauti Monastery was brought from Jerusalem in the XVth century by a Moldavian elder. On his way back to the country, while he was passing through Constantinopol, recently conquered by Turks, he was caught by them and imprisoned, and the icon was cut with a hatchet and was thrown into a stable. When it was cut, the icon bled and in that night the horses from the stable killed each other. 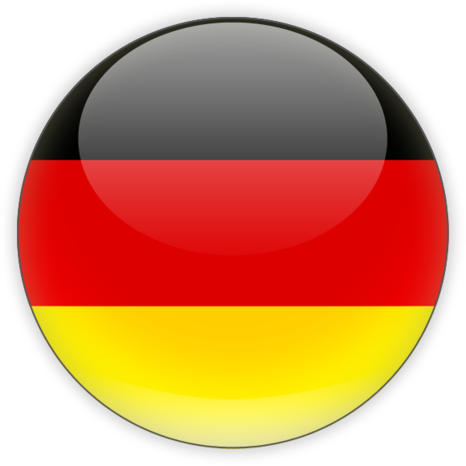 The elder tried to persuade the Turks to give him back the icon. But the Turks beat him and decided to kill him. A Romanian, who was forced to become a Turk and who had to kill the elder, spared his life and released him. Turned back in the country the elder heard that all his family was murdered by Turks. Praying on the shore of the Black Sea, the elder saw the icon, which was surrounded by light and was coming above the sea. 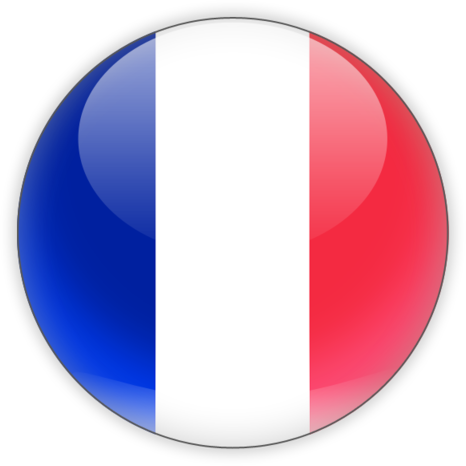 It was the same icon, which he was forced to leave in Constantinopol. The place, were it had been cut by hatchet, closed like a healed wound. 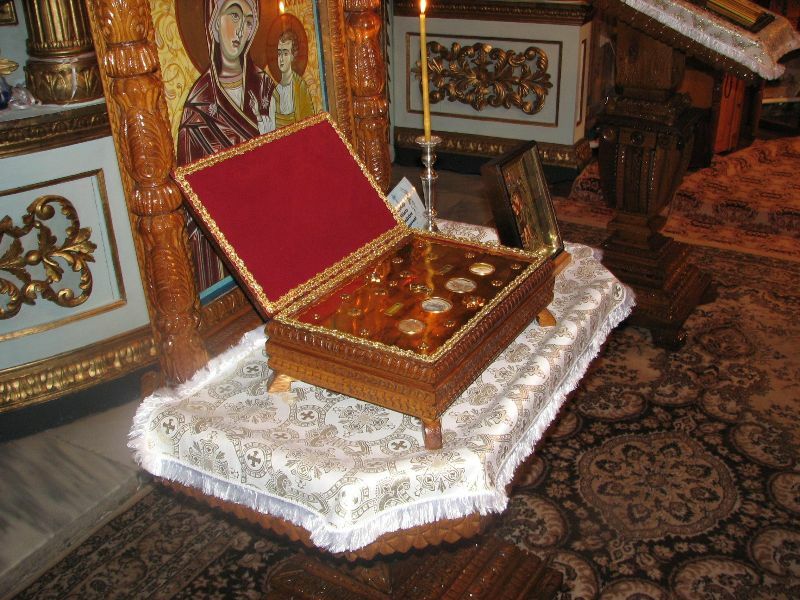 The elder took the icon and brought it to Dalhauti Monastery, where it has been making many miracles. 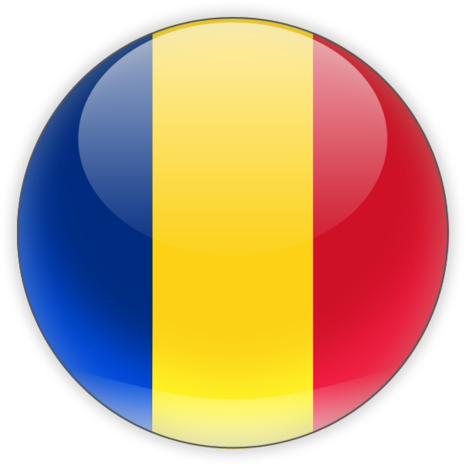 In 1952 the Brancoveni Monastery was reestablished as a nunnery and the priest who had to serve here was called from Dalhauti Monastery. He wanted very much a copy of the wonderworking icon and brought it to Brancoveni convent. The icon have been proving during the years to be a wonderworking icon, too. It have been helped all people who pray with faith and pure heart to the Mother of God.